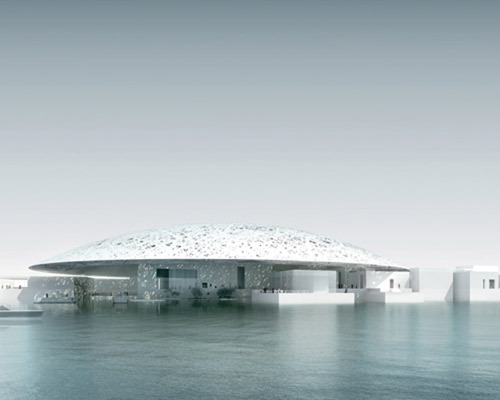 Angela Shah has written a short, interesting article entitled “Projects by Nouvel and Gehry Finally Moving Forward on Saadiyat Island” in Architectural Record, looking at the Abu Dhabi Saadiyat Island starchitect-designed projects which include, among others, Ateliers Jean Nouvel’s design for the Louvre Abu Dhabi and Frank Gehry’s design for the Guggenheim Abu Dhabi; only part of the estimated $27 billion Saadiyat Island development project. Cultural ambition writ very large. Of course, oil will eventually run out. Slide show of the starchitect projects, here. This entry was posted on Wednesday, 2 February 2011 at 15:48	and is filed under Architects, Architecture, Art, Articles, Contemporary Architecture, contemporary design, Design, Designalog, Links, Museums, Slide Shows. Tagged: Abu Dhabi, Angela Shah, Architectural Record, Architecture, Ateliers Jean Nouvel, Contemporary Architecture, contemporary design, Design, Designalog, Frank Gehry, Guggenheim Abu Dhabi, Jean Nouvel, Louvre Abu Dhabi, Norman Foster, Saadiyat Island, Tadao Ando, TDIC, United Arab Emirates, Zaha Hadid. You can follow any responses to this entry through the RSS 2.0 feed. You can leave a response, or trackback from your own site. Hello Gregor. One perhaps doesn’t want to complain about the talent of the architects in question. However, one may certainly be inclined to question the “star system” in whatever domain it may be applied. One may also wonder about the impact, visual or otherwise, of so many dramatic structures in such close proximity.